The government will cooperate with the financial sector to allocate 35 trillion won worth of support to improve people’s livelihoods and stabilize consumer prices ahead of the Lunar New Year holidays. 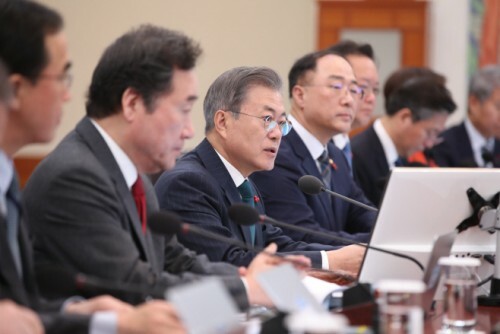 The government announced its holiday financial support plan during a Cabinet meeting chaired by President Moon Jae-in. Under the plan, the government will inject around 35.2 trillion won (US$31.2 billion) to support crisis zones, SMEs, small business owners, and the socially vulnerable. That’s up 6 trillion won from the previous year. According to the plan, the Bank of Korea and 14 commercial banks, including Korea Development Bank (KDB), Industrial Bank of Korea (IBK), and Nonghyup, will provide 33 trillion won (US$29.1 billion) in new funding for smaller firms and merchants. This is up 5.4 trillion won from the previous year’s 27.6 trillion won (US$24.4 billion). Bank loans and loan guarantees will be extended to 49.6 trillion won (US$43.8 billion), up from 32.2 trillion in the previous year. Traditional market vendors will be able to borrow 5 billion won (US$4.4 million) in festive funds starting from two months before the New Year so they can purchase highly-demanded products. The credit enhancement fund, which pays insurance money when the debt is not paid by undertaking credit sales bond as insurance, will be extended to 1 trillion won (US$883.8 million) from 900 billion won (US$795.4 million) last year. In addition, the government will enforce funding for low-income and socially vulnerable classes such as single-parent families, underfed children and elderly in January and February. The funding will worth 440 billion won (US$388.8 million), up 94.3 billion won from the previous year. The government will also use 136.6 billion won (US $120.7 million) to create more jobs for elderly. Within the month, the government will supply 180,000 jobs (nearly 30 percent) out of 610,000 jobs to be made this year. 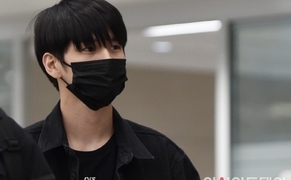 The government will provide 50% of the cost of issuing local gift certificates to the employment and industrial crisis zones by utilizing 90 billion won (US$79.5 million) from the target reserve fund, general reserve fund, and special subsidy tax. “We have been raising expenses of support for employment and industrial crisis zones by reflecting the target reserve fund in the supplementary revised budget bill last year. We are providing support from the target reserve fund since the regulations are still valid this year,” said the Ministry of Strategy and Finance.